Sorry this is a little late going up - wanted to make sure they were both cleared to have surgery today before we started celebrating!! Mom let the oranges out Friday evening and then again on Saturday for the weekend. 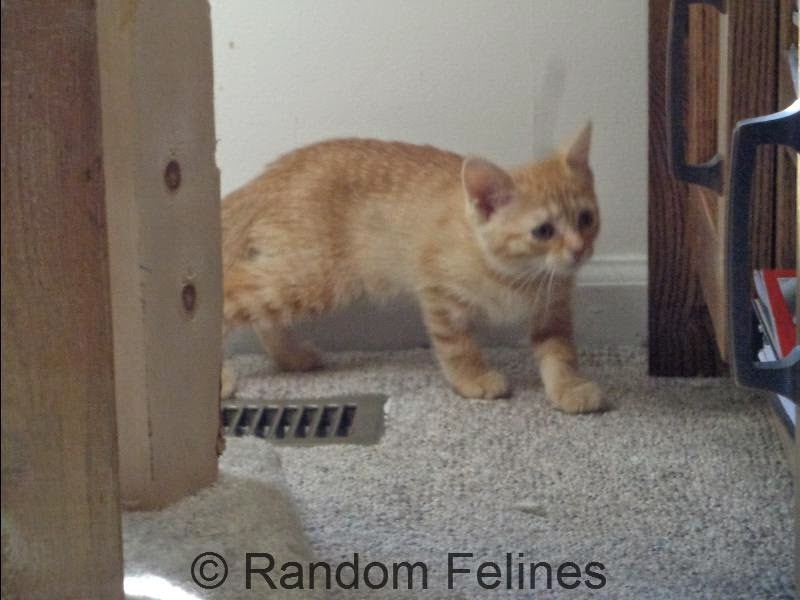 Tangerine is a little more skittish than her brother, but they had a blast running around like nuts. Clem may have runny eyes for a while. No matter what drugs he gets, they tend to run a bit. But his new mom and dad are aware of it and don't mind at all. 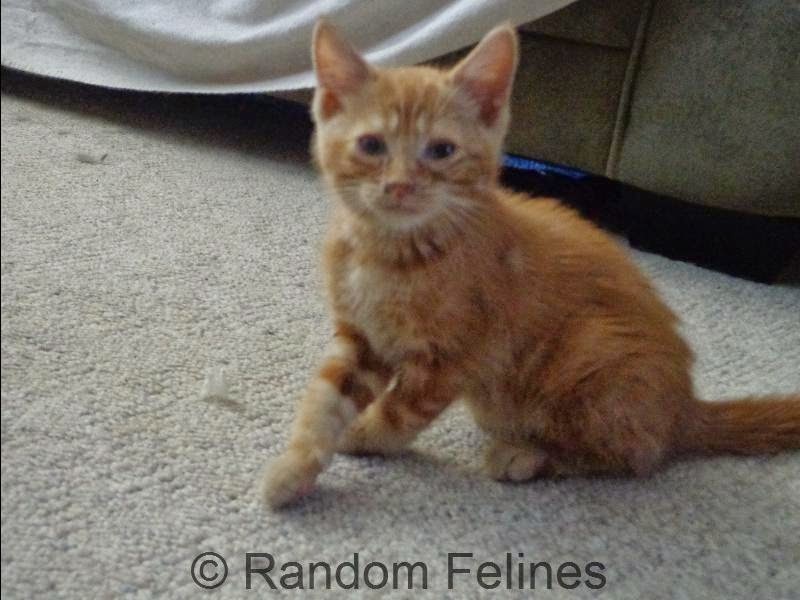 Tangerine is super sweet and we know she will come around once she is home and comfortable. Good luck kittens!!! We are glad you and your mom were pulled from a kill shelter and were given a chance to grow up here and find your forever homes. They are being spayed and neutered today and mom will hand them off this evening. We are so happy for Clementine and Tangerine and hope they have happy lives. What cuties. Good luck to them! Paws crossed these kitties come through their ops with flying colors and are ready for homes very soon! Have a happily ever after Clementine and Tangerine! And thanks to your foster Mama as always , for all her hard work ! Happy tails ahead to Clem and Tangerine! Hooray for Clementine and Tangerine! We are so happy for them and their new family! Here's praying that their procedures go well! They are totally adorable. I love orange tabbies. Congratulations on helping two cute kitties find their forever homes.